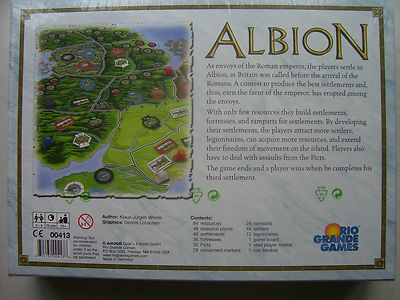 As envoys of the Roman Emperor, the players settle in Albion, as Britain was called before the arrival of the Romans. A contest to produce the best settlements and, thus, earn the favor of the Emperor, has erupted among the envoys. With only few resources they build settlements, fortresses, and ramparts for settlements. By developing their settlements, the players attract more settlers, legionnaires, can acquire more resources, and extend their freedom of movement on the island. Players also have to deal with assaults from Picts. 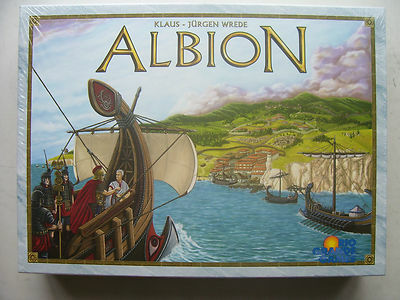 The game ends and a player wins when he completes his third settlement.